Zimbabwe is open for business. This is the mantra that President Mnangagwa invoked in Zimbabwe when he took over in November last year. He has been as good as his word. He has spearheaded the reopening and commissioning of business, mines, banks and industries in what is generally referred to as the new dispensation. Some quick examples will suffice. President reopened Eureka Gold Mine in Guruve, which is expected to produce at least 1,5 tonnes of gold per annum and the mine is going to create more than 400 jobs. The opening of the mine follows a $60 million capital injection by Delta Gold. In his address, President Mnangagwa thanked the investors for the confidence they had shown in Zimbabwe and his leadership. The injection of $60 million into the operations of this mine bears testimony to the confidence that investors have in the bright future of Zimbabwe. The new administration led by President Mnangagwa has been running around to make sure the country fully recovers. President Mnangagwa said his Government will continue to facilitate exploration and establishment of new mines, reopen closed ones and increase capacity utilisation. So far over $16 billion worth of investment had been pledged. The new administration led by President Mnangagwa is a leadership of action. The Command Agriculture Programme which he led as Vice President has borne fruits for all to see. On top of that, Government has also introduced Command Livestock and Fisheries, among other programmes, to improve the country’s economy while making sure we are food secure. In his first six months, President Mnangagwa managed to deliver 60 000 jobs in various sectors as the economy continues to stabilise under his administration and since late 2017 when the President assumed office, there has been a turnaround. 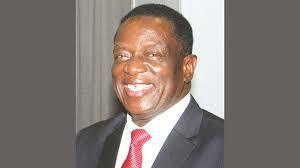 Another positive aspect is the issuing of $100 million to Zimbabwe by the British Government. President Mnangagwa has linked up with the AfDB (African Development Bank) which has expressed interest to extend financial assistance to the private sector in Zimbabwe. This is yet another sign of a leap forward and positive development which continues to stir the economy with momentum. Other examples of how ED means business include commissioning a $30 million Pepsi Varun Beverages Plant, the $3,5 million Splash Paints and Plastic plant, the $40 million Willowton Groups Refiners Plant. There is a huge project that is now ongoing at the $1,5 billion Hwange Power Station Expansion Project following his ground-breaking ceremony two months ago. Other investments in industry, mining, agriculture, infrastructure and housing are at advanced stages of finalisation and/or implementation. It is pleasing to note that the new dispensation is implementing specific policy measures and strategies to facilitate industrial development and focus the productive sectors of the economy in line with the mantra Zimbabwe is open for business and the vision to turn Zimbabwe into a middle-income economy by 2030. It is incumbent upon Zimbabweans to pray for their leaders and country. Dr Jusa writes from the Adullam School of Ministry Institute.